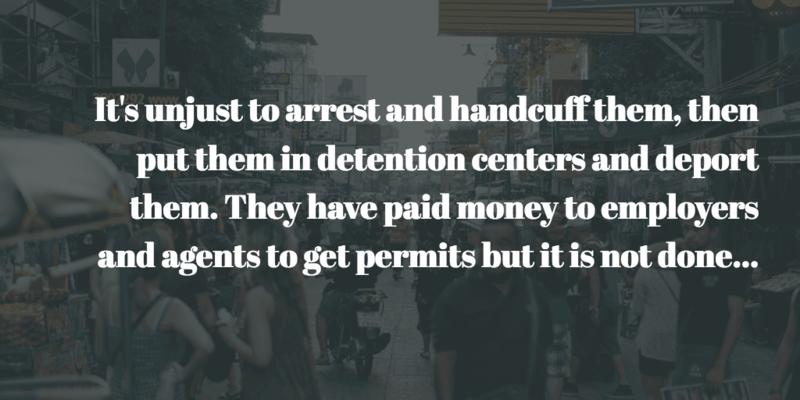 Over 6000 individuals have been arrested and detained this month, as part of a series of mass raids conducted by immigration officers across Malaysia. The raids began on 1 July, the day after the expiration of the deadline for all undocumented foreign workers to register for a Foreign Worker Temporary Enforcement Card (E-Card). The program was intended to provide all employers who have hired foreign workers without work permits an opportunity to register their employees, with the aim of addressing labour shortages in certain economic sectors. 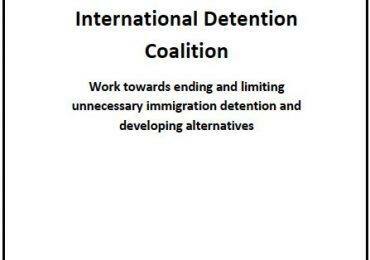 IDC Members, such as Kuala Lumpur-based migrant rights group Tenaganita, have expressed concerns that this tough approach has forced immigrants into hiding and increased the risk of human trafficking. “It’s unjust to arrest and handcuff them, then put them in detention centers and deport them. They have paid money to employers and agents to get permits but it is not done” said Aegile Fernandez, the Director of Tenaganita. Businesses in Malaysia have also spoken out about the raids, claiming that the process to obtain permits was unclear and rife with corruption, and that the workforce is likely to experience price hikes in the near future in the resulting labor shortage. 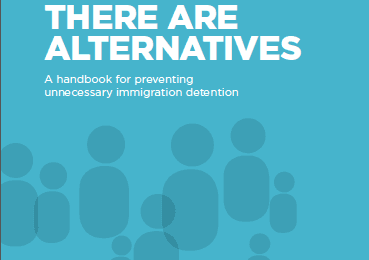 A policy of detention as the first resort in Malaysia has resulted in overcrowding in the detention depots and difficulty in managing detainees, in turn resulting in excessive strain on officers in the Immigration Department, especially those working in depots. The ASEAN Parliamentarians for Human Rights (APHR) has also expressed concerns over the risk of worsening conditions as a result of these raids. “The Malaysian government must provide answers as to how they are addressing this sudden influx of thousands of detainees and how they will ensure that conditions do not deteriorate further,” said Mu Sochua, an APHR board member and member of the Cambodian National Assembly.